Poll: Will you still listen to Michael Jackson's music following the allegations made against him? A new documentary has featured the stories of two men who said the singer abused them when they were children. 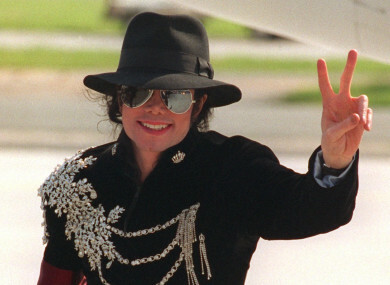 MICHAEL JACKSON HAS been hitting the headlines in the past few weeks, after allegations about the late singer were broadcast in the documentary Leaving Neverland. Two men - Wade Robson (36) and James Safechuck (41) – outlined the sexual abuse they say they were subjected to by Jackson when they were children. Jackson’s family have denied the claims. The documentary has led to a backlash, with some radio stations saying they will no longer be playing his music while a classic episode of the Simpsons featuring Jackson will no longer air. So, today we’re asking you: Will you still listen to Michael Jackson’s music following the allegations made against him? Email “Poll: Will you still listen to Michael Jackson's music following the allegations made against him?”. Feedback on “Poll: Will you still listen to Michael Jackson's music following the allegations made against him?”.